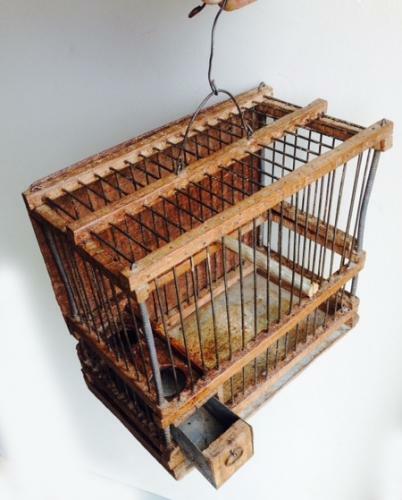 Antique Linnet Cage, wood and wire construction, coplete with pull our feed drawer. These tiny cages were used for song bird competitions. They were all similar size and placed side by side.